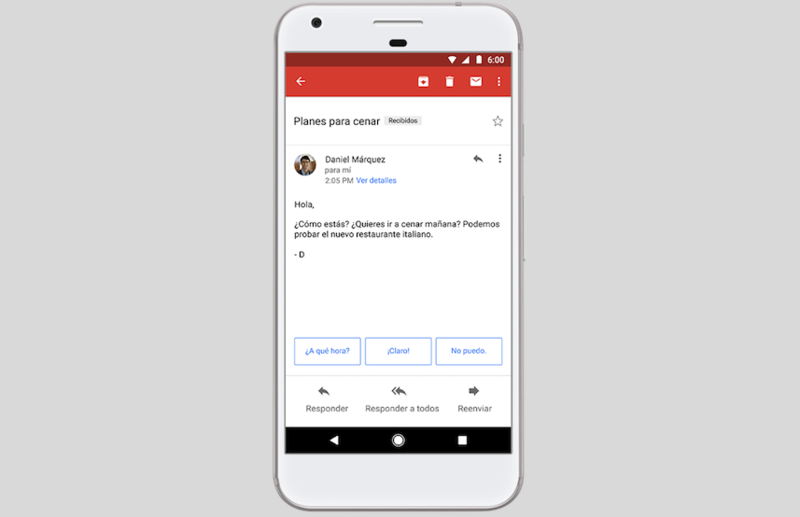 Back in May, Google announced Smart Reply for Gmail, a feature that would suggest three simple responses based on the email that was sent to you. This was first made available for English, but Spanish was promised to come "in the coming weeks." Two months later, Spanish speakers can finally use Smart Reply for quick and easy responses. The premise is exactly the same - Google will use machine learning technology to scan the email that you received and formulate three quick responses. If you'd like to use one of them, just tap on it and hit send. It's that simple. Google says that Smart Reply is now available on both Android and iOS. Spanish speakers, let us know if you're seeing this.